Some water districts will not issue permits to contractors for fire hydrant use. Sometimes there are no fire hydrants near a job site. In some areas, contractors are not permitted to use water from public lakes, rivers, or streams. When a suitable water source is not nearby, an auxiliary water tank and filling system prevents loss of time retrieving water from a distant source. Hauling additional water with an auxiliary tank may be the only way to avoid serious delays. 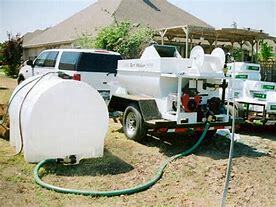 Water from garden hoses may be the only water source available.With three or four garden hoses running continuously into an auxiliary water tank, significant delays can be avoided on jobs requiring multiple tank loads. Even when fire hydrant water is available, if the hydrant is too far away, the auxiliary water tank system will prove to be a major time saver. Clear water can be used for flushing the pump system and also for clearing the mulch from the application hose. No mulch left in the application hose eliminates clogging. TheTurfMaker® garden hose connection can be used to provide clear-water to flush the pump and application hose or to put pressure at any point in the system that might become clogged. 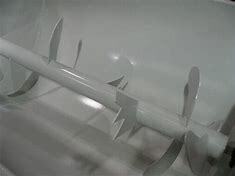 The TurfMaker® has a two-inch hose connector for drawing clear water from the auxiliary water tank. The TurfMaker Pump answers the challenge of pumping lower volumes of thick slurry materials while maintaining pressures necessary to pump through long hoses and avoid clogging. 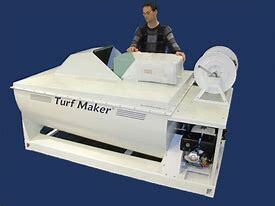 A TurfMaker Pump also requires less engine horsepower than a centrifugal pump. The TurfMaker Pump has the pumping power, the high-wear features, and the simplicity not found on any other hydro-seeding machine. 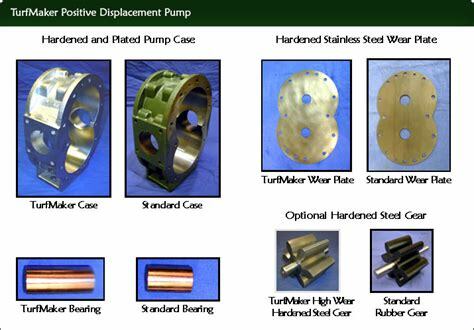 The TurfMaker Pump is the Heart of the TurfMaker. Pump thick or thin slurries through hundreds of feet of hose without the fear of clogging. Pump any slurry up the side of a mountain or onto the farthest point on a job site. 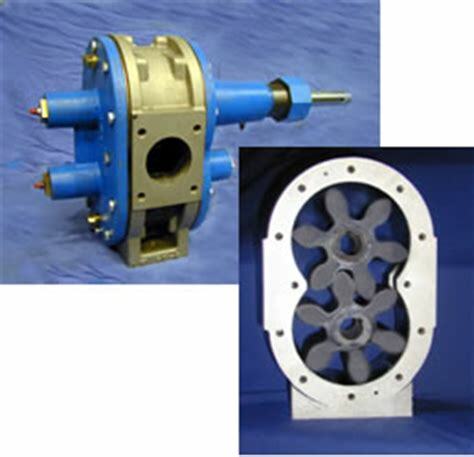 Pump Bonded Fiber Matrix products with no fear of air entrapment problems. Pump thick hydro-sprigging slurries of hybrid grasses easily.